Investing in a professional commercial electrical contractor is not only a good idea, it’s a necessity. 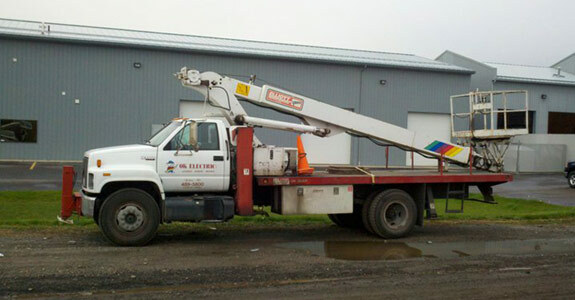 When you’re looking for electrical contracting in Spokane, WA, you want a company that understands the specific regulations that will keep your business operating smoothly, safely and efficiently. Hiring OK Electric to meet your electrical service needs is a good investment decision. With over 35 years in the business, we are your local experts on strategies that will keep your business operating at the highest level, while still saving you money. Commercial and new construction wiring and rewiring: When it comes to wiring or rewiring your commercial building, you need an electrical company that is dedicated to safety but still provides efficient and quality services. We are experts in providing wiring strategies that will keep your business operating smoothly and efficiently. Electrical repairs: Electrical issues can bring your business to a stand-still. At times like this, it is good to have a commercial electrician that you can depend on. With us, you won’t have to worry. No matter the repair or issue, we have the skills and experience to get your business up and running again in no time. Commercial fuse box, electrical breaker and outlet repair and installation: There are a lot of different electrical components that go into making sure that the electrical system for your business is running properly and efficiently. At OK Electric, we specialize in installing and repairing fuse boxes, electrical breakers, and commercial outlets. 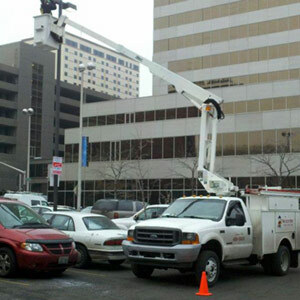 Commercial lighting and retrofits: It takes a lot to keep a business lighted for hours every day. Not only a lot of power, but a lot of money too. At OK Electric, we want to help put some of that money back into your pocket and your business. That’s why we offer unique commercial lighting and retrofit solutions that will keep your building lit and your pocket full. Whether you’re looking for a commercial electrician for small fixes or repairs or if you’re looking for a contractor to help wire a new building, OK Electric has the experience and knowledge to help you keep your business operating properly and efficiently. For a dependable electrical company with over 35 years in the business, call OK Electric for all your commercial electrical needs.